Happy New Year 2010 from Dollar A Vote & the Year of the Tiger! The Walker Report hits one more milestone as this is the 6,200th post on the blog. Over 600-thousand hits and 6,200 posts. Not bad for a photoblog that came about as a fluke. Let's hear it for the Walker Report! Happy New Year to all from GTO Advertising!!! Gulf War Veteran and Former Congressional Candidate Victor Luebker (photo) announces and run for Texas Senate District 19. 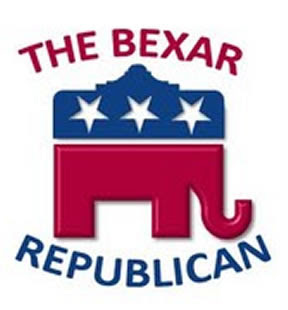 Friends and Fellow Texans,I'm proud to announce my entry into the 2010 race for Senate in the 19th District of Texas. It's time for more citizen servants and less politics and bickering. I encourage you to read my bio, positions on the issues and how I plan, with your support, to send one of us to Austin in 2010. I have a strong plan to make this district the most desirable place to work and play in Texas! I served our great country in three conflicts with 22 years of military service and I’m the founder of a national Non-Profit Foundation for Veterans and their families. I’ve also served as president of a $1,000,000 company. I bring education, leadership, commitment, and a dedication to public service to the race.You'll soon see I'm working hard and not feeling out the "politics" of 2010. Candidates have an obligation to work for you, work hard, and do it well in advance. Slogans about family and country won't work in the middle of 2010, it's time for leadership today! I proudly stepped out of the race for Congressional district 23 to endorse my good friend Quico Canseco. I’m convinced he is the right man at the right time for the job. I also feel Texans will best be served with me right here in District 19 as your Senator and advocate for small business, veterans and families. It’s time to stop the spending and create jobs. Now is the time to roll up our sleeves to start working and stop talking about helping this vital part of the district. “Vic fought for our country in the first Gulf War, Bosina and the Global War on Terror. When he came back he started Hope4Heroes, a national non-profit organization that serves wounded men and women of our armed forces, and has since become one of our nation’s leading experts on veteran’s issues. "He is an outstanding American who has served our country and our community with pride and honor his entire life. As someone who knows Texas and knows our community I am proud to support Vic in his effort to represent Senate District 19," says Quico Canseco. Best Wishes from T.J. Connolly a.k.a. "Nostrodamus!" 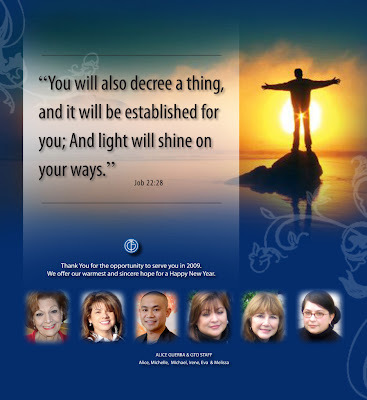 Best wishes to you and yours as we enter 2010. May the New Year be filled with much health, happiness and success, however you individually measure success. May the sun shine always on your back...Happy New Year...and God Bless! Editor's Note: ESPN Talk Show Host & former 550 KTSA Talk Show Host Chris Duel dubbed, Connolly as "Nostrodamus" due to his uncanny ability to make political & non-political predictions. Many have been posted in the past on Walker Report. Judicial candidate Pamela Gabriel Craig filed for office @ the Bexar County Democratic Party Headquarters on St. Mary's , December 31st. LaHood pointed to a series of challenges facing Bexar County, from overcrowded jails, to an underutilization of drug courts, to the lowest conviction rate among the five largest counties in the state. LaHood is a member of the club no one should have to belong to — families who have lost loved ones to violence. His brother Michael was shot in an attempted carjacking, and Nicholas, along with his younger brother Marc, represented their family in Huntsville to witness the state execution of his brother’s murderer. Nicholas LaHood has been recognized repeatedly by his peers as a “Rising Star” in Law & Politics Magazine. 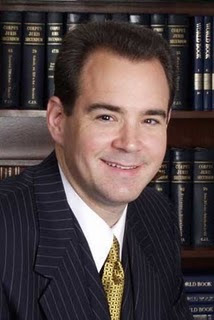 He has practiced both as a criminal defense attorney and as a Special Prosecutor, previously for Wilson, Karnes, and Medina Counties and currently for Bexar County. A member of the St. Mary’s Law School Alumni Association Board, Nicholas and his wife Davida are the proud parents of their 15-month old daughter, Maya. Voter registration, rally, Meet and Greet. Angelitas Restaurant ( the orange building). Date : January 9th @ 9 a.m. Donations requested at the door. This weeks evideo promises to really bless all who view! A true father is not one who lifts up his name or authority above his son. A father is one who loves and leads his son without ever reminding him that he is father. When we learn to love others we will learn to let go of our false security in promoting ourselves. Who are you leading? If you want to understand fathering learn from God & His Son! 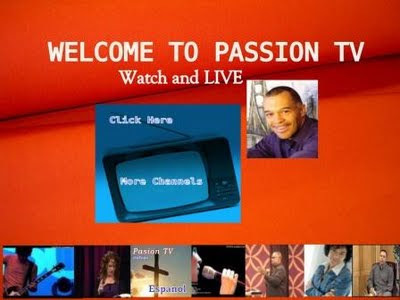 Please continue to tell your friends, family, co workers, neighbors, strangers, or just everyone about the new programs each week on Passion TV. Former Councilman & County Commissioner Lyle Larsen (photo) has announced he will run for State Rep. District 122 to replace incumbent State Rep. Frank Corte Jr., who will not seek re-election in 2010. State Rep. District 122 Frank Corte Jr. (photo) will not seek re-election. Corte is in the property-management and land-development business. A graduate of Texas A&M University, he rose to the rank of colonel in the U.S. Marine Corps Reserve. He received a Bronze Star for service in 2007 when called up for duty in Iraq. Dear Friends,I hope everyone had a wonderful holiday. With only a few days left in 2009, I look forward to what 2010 brings. I would like to announce that I have officially filed to seek the Democratic nomination for Bexar County Clerk. With over 19 years in Bexar County government, I not only possess the experience required to bring change to the Bexar County Clerk’s Office, but also the leadership skills needed. I humbly and respectfully ask for your support and vote. Please visit my website at http://www.timforclerk.com/ and join us on Facebook at Tim Ybarra for County Clerk. Still more photos of Young Kids from 2009 posted on the Walker Report.